One of the biggest problems that anyone producing content has is coming up with ideas as to what to write about. However, it is much easier to produce ideas than you might think. At the Search Bootcamp being held in London today, Pete Campbell from Kaizen showed exactly how you can produce a vast list of ideas very quickly. He asked the 54 people in the room to write down three ideas for a “boring” business – a sign manufacturer. 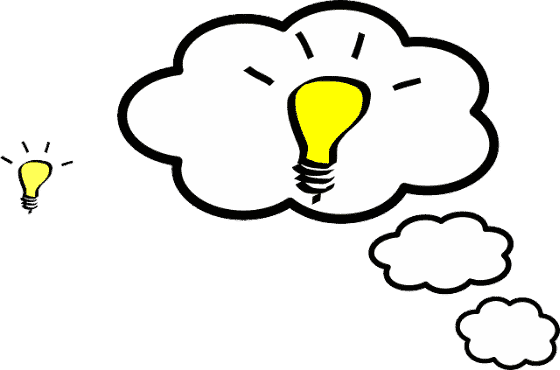 Having written three ideas down, the people then passed on their ideas to someone else who either built on those ideas, or used them to trigger other thoughts. A few minutes later, the growing list was shared again and each individual wrote down another three ideas. As a result, each person had written down nine ideas in 15 minutes; with 54 people in the room that is 486 ideas. This was a graphic demonstration of the uselessness of brainstorming. Several psychological studies in the past have shown that brainstorming produces fewer ideas than thinking about things on your own. Businesses and content planners frequently fail to produce enough ideas because they rely on brainstorming sessions. These end up focusing on a small selection of ideas produced by a dominant personality in the room. Also, in brainstorming sessions, people tend to try to produce ideas that they think other people will like, or ideas that will please the “leader” in the room. Producing ideas on your own is better – but you cannot produce many. If you were asked to come up with nine ideas for content for a boring client on your own you would be hard pressed to produce enough. Often in tests of doing such things, people produce a few ideas and then simply repeat earlier ideas with a different set of words. With the technique shown by Pete Campbell today, delegates were shown how to produce several individual ideas. The passing around of ideas written down provides psychological triggers for individuals to generate new ideas. To generate ideas in your business you can use this technique. Get your staff together in a room and give them a sheet of paper each. Establish the topic you want ideas on and then ask each person, silently, to write down three ideas. Then they pass their paper to another person who has five minutes to write down three more ideas. You keep doing this until the sheets of paper have gone round the room. If you only have five people in your team you will have produced 75 new ideas in 25 minutes. So, don’t go telling me that you are short of content ideas..!